and renew a right spirit within my bowels.". Rosary videos are a beautiful Rosary media. The soothing voices praying the Holy Rosary accompanied by gentle instrumental music and an ensamble of slow and steady rotating images from art of today and yesterday make these videos both moving, inspiring and a joy to watch while meditating on the life of Jesus. 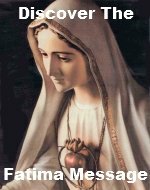 You will love this online Rosary. These are the absolute best Rosary videos available on the World Wide Web. Believe me. I've looked. Definitely bookmark this page so you can come back to watch and pray often. 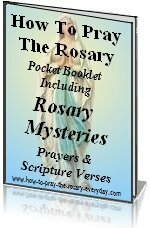 A heavenly Marian hymn introduces and concludes each set of Rosary Mysteries. Images of Our Lady of Lourdes and Fatima and other beautiful statues and images of Mary are presented as the beginning prayers are prayed. At the conclusion of each mystery is a lovely sung version of "Come Holy Spirit" accompanied by an image of the Holy Spirit. Other images used in these videos include still shots from major motion pictures including the Passion of the Christ, religous objects, frescos, stainedglass windows, both familiar and unique holy cards, famous paintings, and written Bible quotes. The mystery is announced by a kind yet masculine voice, then the Scripture account read, followed by prayerful meditations that send chills down your spine. The decade is then prayed while images of that mystery are presented in slideshow fashion.